Experience life, working as a doctor, in one of the world's most exciting cities! China is the world's most populous country and currently has the fastest growing economy in the world. As wealthier Chinese, and the ever expanding ex-pat population seek improved healthcare services, our client is growing significantly over the next few years to meet this demand. You will be joining an established private hospital in a healthcare company that was established 20 years ago. If you are an adventurous doctor, seeking a new challenge and would like the opportunity to fast-track your career in an emerging market, please do get in touch. 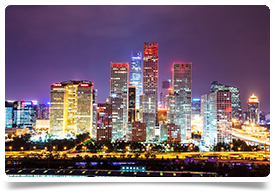 Beijing is currently the official capital of the Republic of China and the most populous of all the cities. Knows as the gateway too many exciting tourist attractions, including the great wall of China Beijing has embraced modernity however it has beautifully preserved not only its ancient buildings but also its long-standing culture and heritage. Living in Beijing, therefore, is a comprehensive opportunity to experience China’s past, present, and even future. Beijing is home to one of the most important economies in the world. In the city centre, there are more than 750 finance companies, generating over 125 billion RMB and the central business district, which covers several thousands of square miles, is filled with shopping centres, luxurious accommodation options, and high-end housing. The cost of living in Beijing between 30% - 40% lower than in London, UK therefore your salary will go much further. The Chinese government also offer tax incentives for foreign workers on key areas such housing, learning Mandarin, flights to your home country and children’s school fees.